How Much Does A Cannabis Retail POS Cost? A cannabis retail point of sale (POS) system doesn’t just track inventory and sales - it also provides the transactional data required by the government to demonstrate compliance. While POS prices range from $1000-$3000 for hardware and $200-$1000 monthly for software, factors including software capability, hardware type, and cannabis retail size can impact cost. If you’ve wondered why the question of how much does a POS for a cannabis retail cost is best answered with, “It depends”, it’s because of the many areas retail owners have to consider. In this post, we break down some of the most important considerations when determining how much to pay for your cannabis retail POS. First things first, a POS system must address the specific needs of the cannabis retail, and that’s why deciding how much to spend first involves thinking about your store’s daily operations. What will the shopping experience be like in your cannabis retail? Will there be separate lines serving medical patients and recreational consumers? Will your operation offer delivery services? How large or small is the store? How many people will be on staff? Each decision you make about how your cannabis retail operates helps narrow down which POS features will be most beneficial to your business. Software is the engine that drives a cannabis retail’s POS, and a variety of factors can impact its cost. The number of terminals is one example: a small shop with just 2 registers doesn’t necessarily need the same capabilities in their POS as a large operation with 10 terminals does. And no matter how many terminals there are in your retail shop, the software must be reliable enough to grow with your business. Let’s say demand skyrockets around the 4/20 holiday, you’re looking to expand by opening operations in other markets, or business is booming and you need to hire additional staff. Less expensive software options are great for little mom and pop locations that just need the basics covered, but are likely not enough for retailers that are looking to scale. Compliance is another area that’s is crucial for retailers to consider when researching POS software. Government reporting on all aspects of the business is required for all cannabis retailers, and POS solutions in the lower $200-$400 price range might not include important features like the ability to integrate with government systems. While recording everything manually might save you money, have you thought about how a simple mistake like miscounted change, an inaccurate inventory count, or any other error typical to most retail operations could actually put your business at risk? After achieving licensing, marijuana dispensary funding, finding property and recruiting staff, being able to stay compliant ensures that the government has no reason to flag your store. Choosing software that makes tracking and proving compliance easy might cost more, but your peace of mind is worth it. And then there are the potential emergencies. When the Wifi goes down - and trust us, it will - a cheaper POS might not be able to function at all, which means no sales can be processed until everything is up and running again. But investing a little more into a system and considering options like going wirelessly can go a long way to help eliminate such potential risks to your bottom line. Even the best POS software won’t work without reliable hardware. When deciding how much to spend on hardware, look again to the needs of your operation. Aspects like the number of terminals and whether the regulations require the use of certain equipment could influence which options you consider. Computers, tablets, scanners, label printers, receipt printers – these are just a few of the many hardware options a retailer might purchase for their cannabis retail. And if you’re not sure which equipment your operation needs, our hardware guide for retailers can help narrow things down for you. 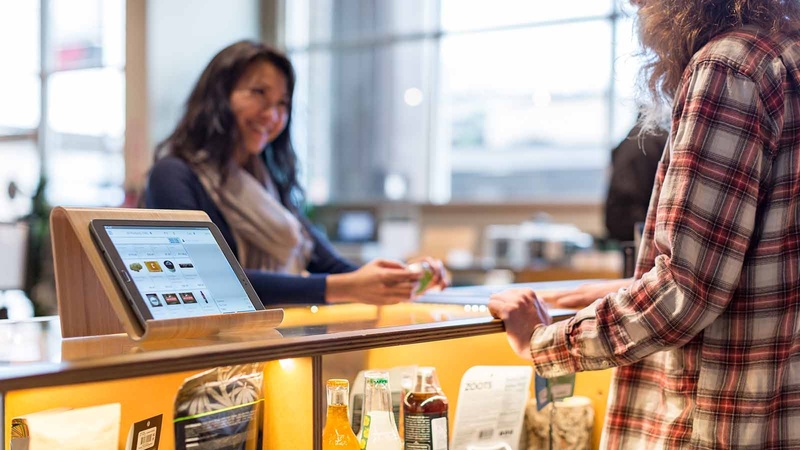 When integrated with high-performing POS software, the right hardware presents plenty of opportunities to offer a premium shopping experience to your customers. A high traffic store might consider installing a self-service kiosk to enable express checkout and ease congestion when things are busy. If allowed in your state or province, giving tablets to delivery drivers and event staff for processing offsite sales eliminates the risk of theft or human error most common with cash transactions. Cova develops POS with the specific needs of retail cannabis businesses in mind. With pricing starting at $USD449 for POS software to run three tablets, Cova’s solutions help retailers lower costs and boost revenue while reducing the headache of managing your compliance. Pricing includes technical support calls, access to the mobile dashboard, and integration with Cova partner ecosystems. Contact us today to find out why Cova is the superior solution!